James, one of my readers, raised an objection to my comment and sent an email about this, correcting me. I asked if he would be interested in writing a short guest posting about the subject, and he graciously accepted. As you can see, he’s much better qualified to talk about this than me, so here, in his own words, is an explanation of gravity from James Edgar, the Past President of The Royal Astronomical Society of Canada, and the editor of the RASC Observer’s Handbook. We often hear or read that the "force of gravity" causes matter to be attracted to other matter, which is why Australians don't fall off the Earth - they're attracted to Earth's mass. However, nothing could be further from the truth. 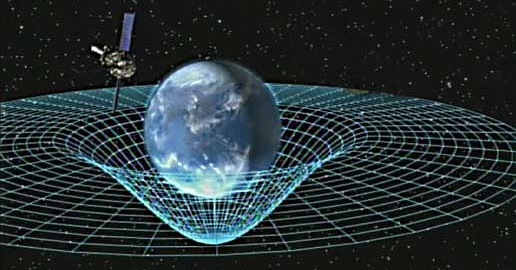 According to Albert Einstein's 1915 general theory of relativity (GTR), gravity does not exert a force from one mass to another; gravitation is the geometry of the 4-dimensional spacetime within which we, the Moon, comets, asteroids, and the stars exist. Objects in orbit, like satellites, planets, stars (and light) follow geodesics—the straightest possible, force-free paths through a spacetime whose geometry is shaped by mass–energy. Our meagre experiences of relatively light objects that travel through air or on Earth's surface prepare us poorly for when we try to contemplate the influences of very massive objects or electromagnetism (light) propagating at very high speed. Recall Sir Arthur Eddington's measurement of light "bending" around the edge of the Sun during the 1919 total solar eclipse. But, that's not really what he measured—the light travelled in a geodesic. It was the straightest line possible; moving through the Sun's gravity well, it appeared bent. A "force" of gravity was Sir Isaac Newton's invention to make his model of the Universe approximate reality—three dimensions and a constant time. He knew it was inadequate, but his theory did work in a general way. His equations are still used to calculate spacecraft trajectories; they work very well, but fail miserably for objects in extreme gravitation or for speeds approaching light speed. What Newton didn't consider is that time is part of space, and that it is not constant. Orbiting GPS satellites have onboard clocks to keep track of time, but they are engineered to operate just a little more slowly to match those here on Earth. If they didn't, the GPS wouldn't work! More from Einstein, when he predicted in 1915 that clocks lower or higher than an observer run slower or faster, respectively. Even a wristwatch on your arm runs faster than a clock sitting on the bedroom floor—we have devices accurate enough to measure those tiny differences. That's relativity. When you drop an object, you see it “fall” because the contact force of the ground on your feet (the only force you feel) accelerates you the other way. An object or person in orbit experiences no such force, even though experiencing free fall. Orbital motion could not be simpler—no forces are involved. 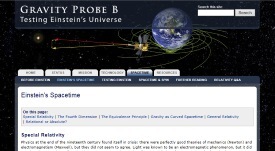 See this Stanford University site for a deeper explanation.